Blog Stems Flowers Shop now has online delivery! 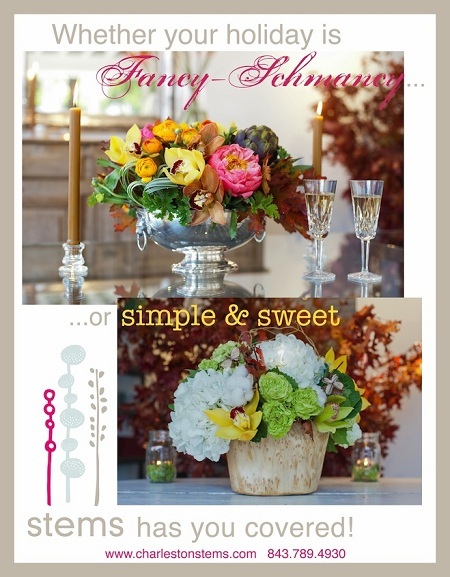 Stems Flowers Shop now has online delivery! Elliotborough’s neighborhood floral shop, Stems, on the corner of Cannon and Coming St, just across from 5 Loaves Cafe has been recognized as the newest member of the BBrooks’ fine flowers network and is excited to be offering more daily designs to Charleston! You can now place your order online directly from thei beautiful online flower website. Click here to place your order today and they will come bearing flowers and a smile! If online ordering isn’t your cup of tea, give them a ring at 843.789.4930 and they will gladly take your order over the telephone. Want to send flowers to a loved one that doesn’t live in Charleston and need to know it’s going to be perfect? You’re in good hands!They can ship flowers just for you.